I am an old man on Tumblr. I’ve seen kingdoms rise and fall, hipsters explained, memes analyzed, photo blogs rise, photo blogs fall. Most of the people I followed even two years ago are long gone. My friends that got me on the platform originally departed for greener pastures years ago. Yet I remain. Four years is an eternity on the internet. 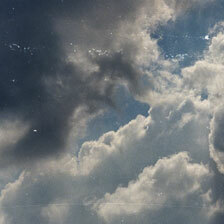 I started my Tumblr in late 2009 as a place to share my original photography. Early on I decided I wasn’t going to reblog anything, I was just going to post my original stuff. This decision probably ultimately proved my undoing. In my little corner of an internet dominated by teenagers, I steadily posted my own photos as I learned photography. Most of what I put up for years was crap. I couldn’t blame anybody for ignoring it. However, slowly but surely, I started to find a bit of an audience. People started enjoying some of my work. Every once in a while something would get reblogged. I’d feel like a king. So I kept going, always assuming that my next post would be the one that took off. And pretty much none ever did. Then I noticed something perplexing: my photos were going insanely viral all over Tumblr. It was just that none of them ever originated from my Tumblr. It was from people who found my photos on Flickr and posted them themselves, and then they took off from there. And bless their little hearts, the ones that I know about, because they actually credited me. In a bizarre twist, I even found photos floating around credited to me that I didn’t take. I’m sure there are many of my photos floating around with no credit at all. So where am I getting with this? Photography and the internet are strange bedfellows. On one hand, the internet is a great place to show off your stuff. Photographers have always wanted for an audience, as what is the point of creating anything if there’s nobody to show it to? I remember a science teacher in junior high used to play slideshows of his nature photography to us, his captive audience. By golly, he had taken those pictures and somebody was going to look at them. Photographers (and artists in general) are narcissistic creatures, and we need positive feedback, for people to let us know what we’re making is good. That’s where the internet comes in with those sweet, sweet stats and views. Especially in those early days when I started, I lived on how many views something got. I threw my photos into every group I could find. Comments made my day. Deafening silence crushed me. Looking back, it seems ridiculous, but it kept me going. It made me a better photographer. And eventually my stuff became a little less crappy, and I learned to let go of trying to get some sort of recognition online. Because there’s the other, much less pretty hand: the void. Oh lord, the deep, endless, black void of just how many people are taking pictures out there, all trying to be photographers, all trying to be recognized. If you take a deep breath and a look around, the internet is a really good way of shattering any illusion you have about your place in the universe. I tried to protect myself from this soul sucking reality by staying in small groups, typically film photographers. It didn’t work. Nobody needed me to take pictures. The world already had enough to last it until the heat death of the universe. So I learned to take photos for other reasons. Sometimes I still ask myself why I do it. I never really have a good answer other than it’s fun to do. But Tumblr, I’ve never managed to figure you out. You keep me modest. 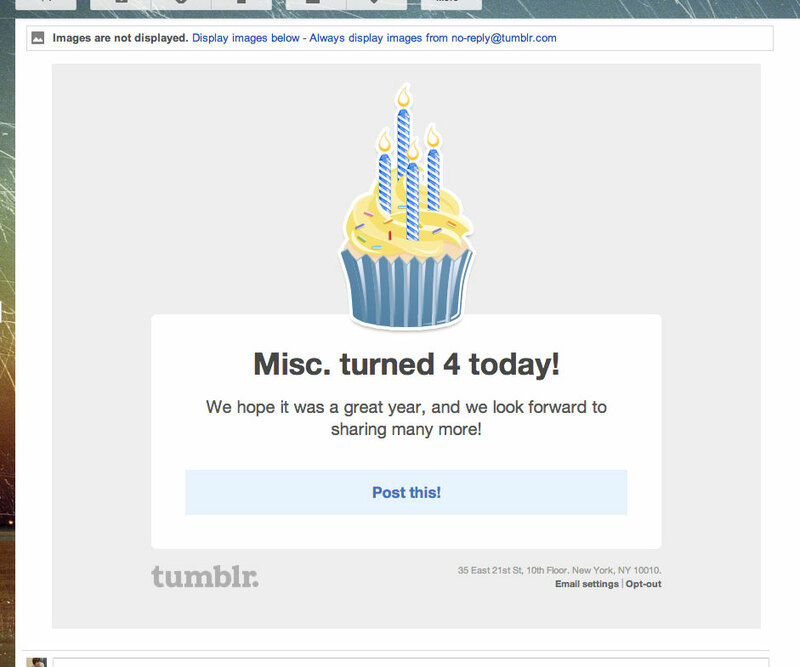 So here’s to four years of utterly failing at Tumblr.